Stats, Maps n Pix: Airbnb in London: 'micro-entrepreneurs'? In today's Budget, the Chancellor outlined some new tax allowances for 'micro-entrepreneurs', such as those doing business on Airbnb or eBay. Basically, there's a new £1,000 tax-free allowance on income from these kinds of activities. However, this 'sharing economy allowance' may also serve to benefit big landlords, if data from Airbnb are to be believed. 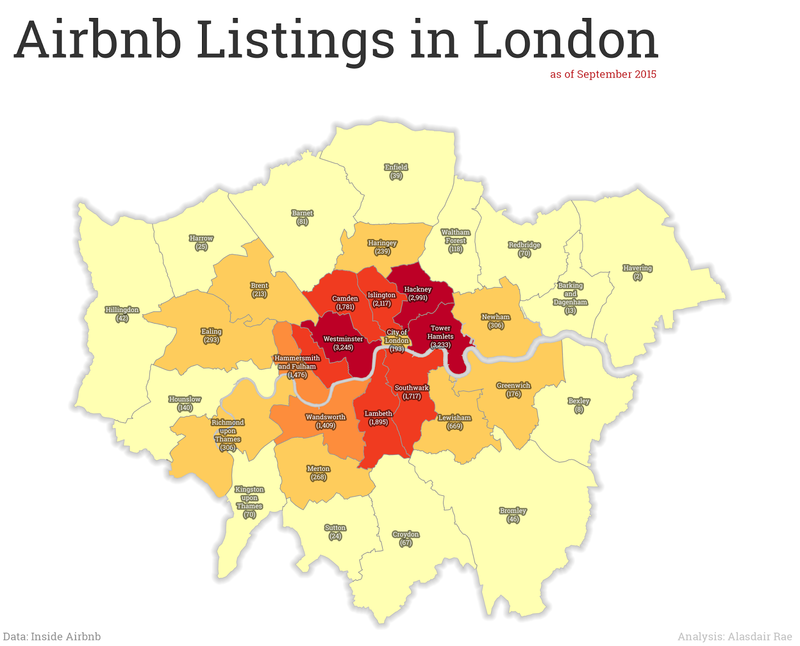 Using figures from Inside Airbnb I did a little analysis to see how much of the room sharing in London is of the 'micro' scale. It turns out it's a bit more complicated than the 'sharing economy' label would suggest. 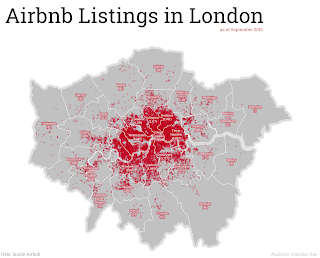 But first, here's a map with the 25,000 or so London rentals listed on Airbnb, just to make the point that it's 'a lot'. Alex Hern in the Guardian picked up on this almost instantly, and has already written a good piece on the issue. I'm just trying to add a little more in the way of a geographical breakdown, since I'm thinking about things like lack of affordable housing, loss of housing stock to the 'sharing economy', the impact on rents and issues related to displacement and gentrification. 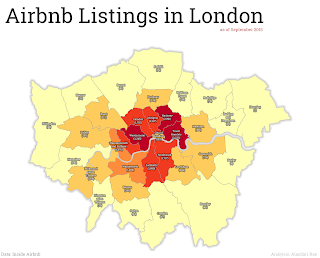 When you break it down by Borough, as I've done in the map below, it's clear that there is a big inner/outer London divide and that Tower Hamlets (3,233 listings), Hackney (2,991) and Westminster (3,245) are real 'sharing economy' hotspots. But bear in mind they also face intense housing market pressure and suffer from a severe lack of affordable housing. If this is really aimed at the kind of 'micro-entrepreneur' that the Budget talked about, that sounds reasonable enough. But what do the data show? 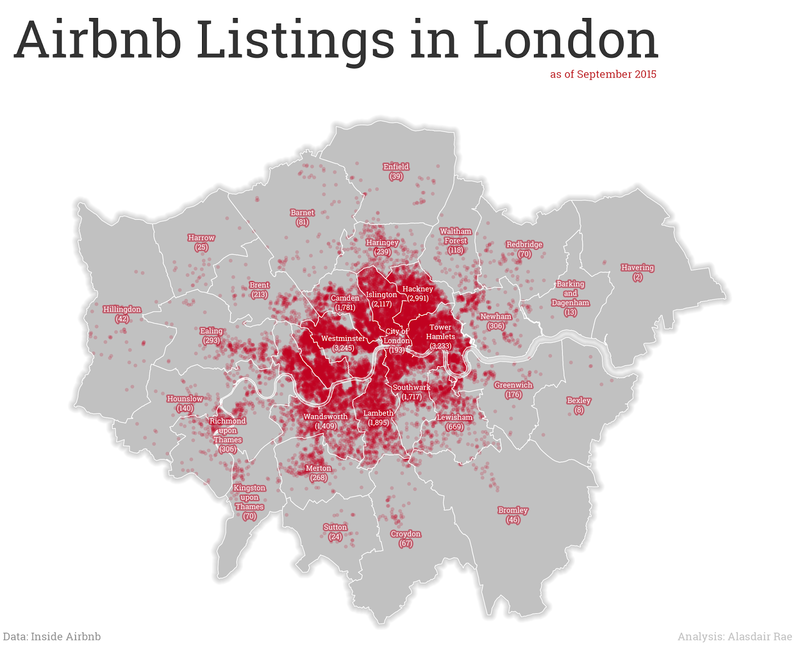 Well, by my calculations based on the latest Inside Airbnb data (September 2015), 14,923 of 25,361 London hosts only listed one property. But 599 hosts had three or more, and 139 had 10 or more (just over 11% of all listings). At this end of the spectrum it looks a lot less like 'micro-entrepreneurs' and more like nice tax breaks for buy-to-let landlords with multiple properties. Well, that's the obvious conclusion you'd draw from looking at the data. Whether this is the reality or not requires further investigation. Just to see whether these patterns looked anything like clustered property portfolios on the ground, I mapped all those hosts who had 50 or more listings against their name. The data are publicly available so I have just mapped this using the host name obtained from Inside Airbnb. I don't know exactly what's going on here but it doesn't seem very 'micro' to me. I thought about whether this is really about the 'sharing economy'. I think a large proportion is, but it's also reasonable to assume that a good chunk is not. One way to look at this is to consider how many hosts allow stays of more than 90 nights, as per Section 44 of the Deregulation Act 2015. According to the publicly available data scraped by Inside Airbnb, 78% of listings allow maximum stays of more than 90 nights. Whether this actually happens or not is unknown, but if this was the case then landlords would need to apply for planning permission. 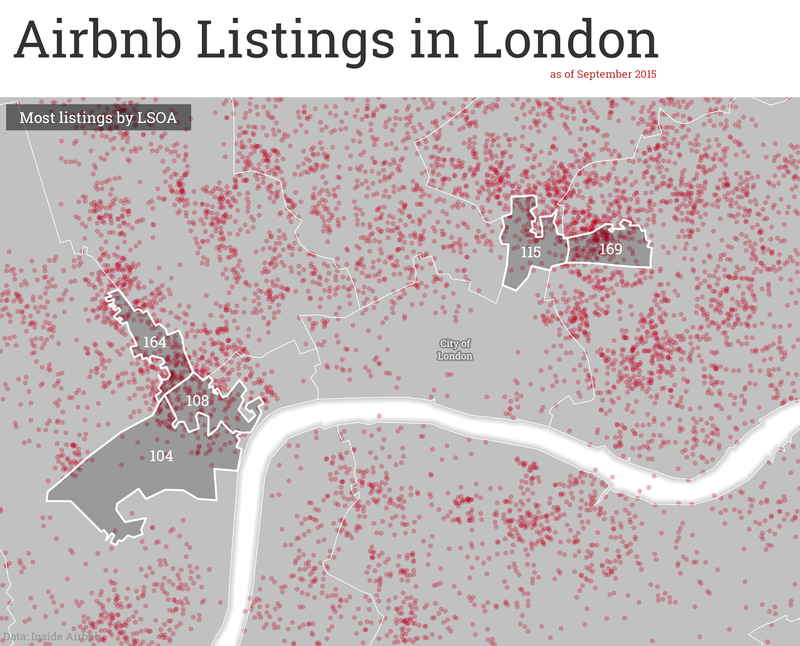 Of the 590 properties in the map above, only 4 are not available for more than 90 nights. I also took a little look at the patterns at the micro-level and broke it down by LSOA. 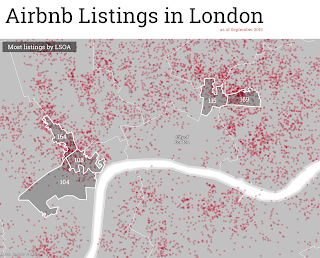 In the image below, I've shown the top 5 LSOAs in London by Airbnb listings. These were the only five small areas with more than 100 listings, which does seem like quite a lot. What's the point of all this? It's not a rant against Airbnb (I like the idea), individual hosts (the big ones often get great feedback) or even the Chancellor. The point is that giving tax breaks to 'micro-entrepreneurs' in the 'sharing economy' may not be as straightforward as it first seems. This is the case with just about any policy and perfect targeting of policy is impossible but it seems that by using data from fantastic sources like Inside Airbnb we can get a better understanding of what's actually happening and - perhaps - local authorities might be able to take enforcement action if people are breaking the rules. The point is to demonstrate that the headline announcement of tax breaks for micro-entrepreneurs will, it seems, be very beneficial to 'macro-entrepreneurs' as well, particularly in areas of acute housing shortage. 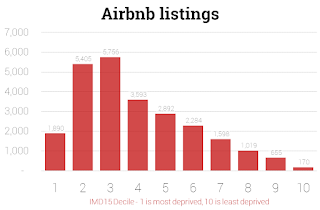 ...also, as a little bonus feature, I also decided to look at the distribution of Airbnb listings by area type, using the Indices of Deprivation 2015 data. 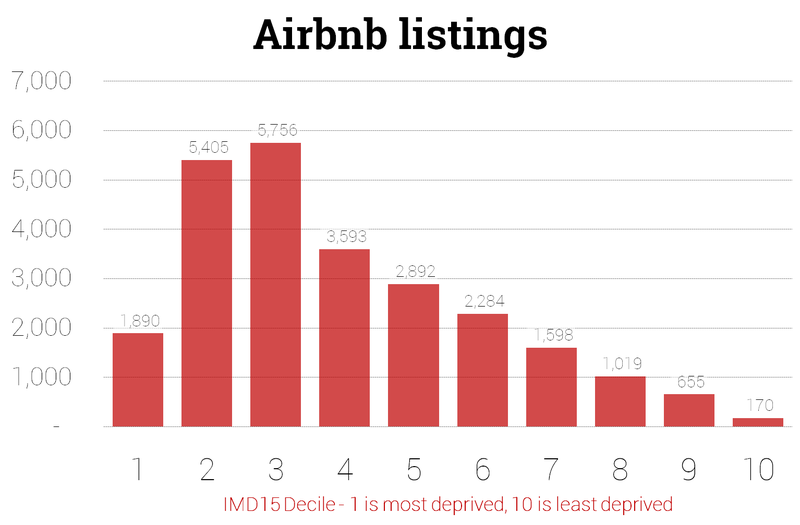 In the bar chart below you can see the distribution of listings by deprivation decile, where 1 is most deprived and 10 is least deprived. It's skewed towards the most deprived end of the spectrum. This raises further questions in my mind about the impact of the sharing economy in these areas. But more work is needed to figure all this out. Not many listings in the very least deprived areas! 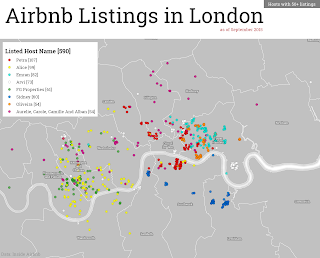 Data source: Inside Airbnb - see the data pages for London data and other cities across the world. go to the London interactive page for a great breakdown of the issues and impacts. 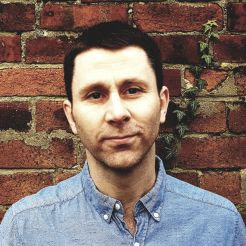 The author, Murray Cox, has done a great job of explaining things. How Urban is Deprivation in England?